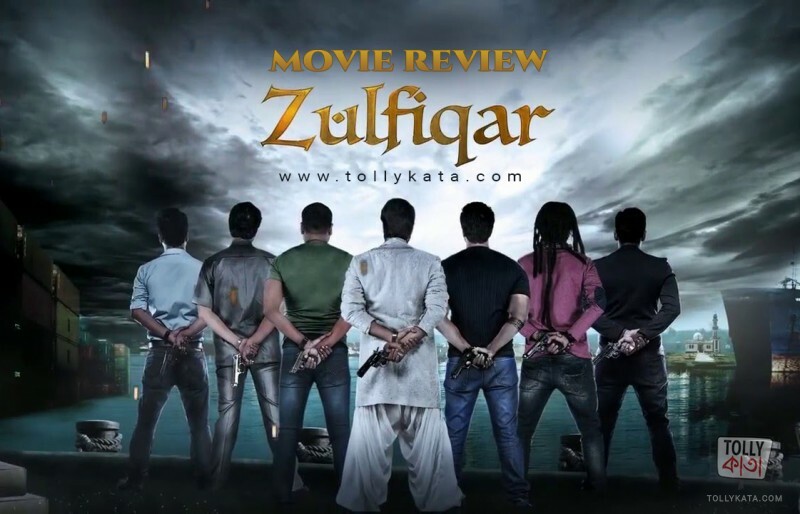 Zulfiqar movie review by tollykata. Zulfiqar movie is directed by Srijit Mukherjee and produced by Sree Venkatesh Films. Find out the best Zulfiqar movie review. Zulfiqar movie review can be given by any of our users. Zulfiqar is a movie by Srijit Mukherjee. Has it ever happened to you that you entered a renowned eating house with high hopes of delicacy only to be served boiled rice with chunks of spices and half raw meat in the name of biriyani? Well. Zulfiqar is just that. This time served cold. 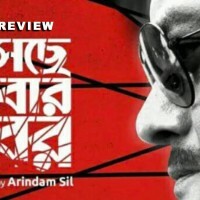 Director Srijit Mukherjee takes up the undaunting task of combining the two famous plays “Julius Caeser” and “Antony and Cleopatra” to screenplay it into one cinematic experience, a task even Shakespeare failed to do. Prosenjit a.k.a Caeser a.k.a Zulfiqar is the mutually accepted head of a syndicate which runs all the illegal activities of the city. All except drugs and acts of terrorism. Kaushik Sen a.k.a Brutus a.k.a Basheer seconds Zulfiqar in all aspects and is a true patriot who can die for his country. Dev ( Marcus) and Parambrata(Antony) are the two aides to the syndicate head. Jishu ( Cassius) plays Kashinath Kundu who holds a secret hatred for the power Zulfiqar owns. Ankush takes the backseat till post interval as he slips into his uncles shoes. Among the ladies, Nusrat Jahan ( Cleopatra) gets the maximum screentime while the rest play no importance as such. The introduction of the area and the syndicate by Laltu Das ( Rahul Banerjee), the local police officer is done brilliantly. The use of camera starting from the majestic top view of Howrah Bridge and the Ganges to the narrow bylanes of slums is applaudable. Anupam Roy has a separate cult of music and he is at his usual best. All characters jump in one after another none getting the proper time to leave a mark on the audience. The story slogs along the undulating path of love,power and money as any gangster movie does. What it fails to do is to grip the viewer for poor direction and poorer acting. The “pull and come off” beard shows the indifference of the team behind the camera too. One scene gives you a window of what the movie with such a starcast could have delivered which is the bike race between Basheer and Zulfiqar while another makes you cringe about why you are even paying for this movie i.e when Antony and Marcus make a joke out of the famous “Brutus is an honourable man” scene. Kaushik Sen and Dev do proper justice to their roles. Prosenjit seems a bit out of place. June Malia has little to do with a “blink and you miss” scene. Paoli Dam looked as confused as the audience as why she is in the movie. To sum up, Zulfiqar is a movie of what could have beens. Towering stars were misused and no one got the actual time to act to their potential. 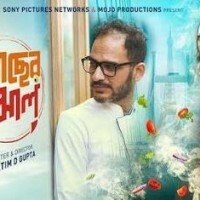 Keeping behind the Puja commercialisation, had the movie been properly edited and role played, it had all the ingredients of a masala potboiler. Instead what we got was a puzzle of scenes put in one after another and you really need to know the plays to make a story out of it. I would have given a 3 out of 5 for this endeavour but given the fact it comes from the house of “22shey Srabon, Rajkahini, Chatuskone” I would take away one and give a mere 2. As one walks out of the theatre, he will have this line etched in his heart, ”Et tu Srijit"
expectaion onujayi baje . baje script , baje cimematography . acting korar scope nei bhalo actor der.